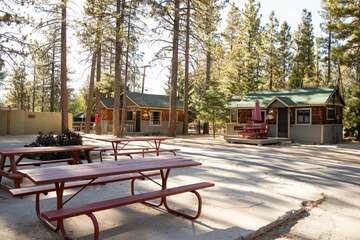 The winter season is one of the best times to plan a Big Bear Lake vacation getaway. This time of year sees less traffic from tourists who wish to escape the cold weather, resulting in more opportunities for you to enjoy what they are missing. Do not let the cold weather scare you away from an exciting vacation that is sure to be filled with winter sports and other exciting activities. Christmas sees the arrival of many exciting events that are great for locals and tourists alike. The Big Bear City Tree Lighting is one such event that showcases the unveiling and light up for the city’s Christmas tree. Each year the Big Bear City Fire Department holds the Annual Christmas Tree Lighting Ceremony so everyone can see when the tree lights are finally switched on. The event lasts for approximately one hour and is typically held on the last Friday of November. Santa Claus is in attendance reading off children’s lists for Christmas. Hot coffee and cider are provided, with guests encouraged to bring a plate of cookies to share. This year’s Big Bear City Christmas Tree Lighting is still in the planning stages, with more information to be announced shortly. Expect the Big Bear City Fire Department to once again host this annual event on the last Friday of November and free for admission. This exciting event is perfect for the whole family to enjoy the holiday spirit together with the community of Big Bear. 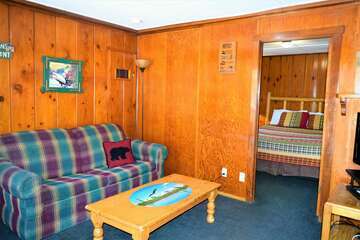 Contact one of our rental experts today to start planning your winter Big Bear Lake vacation getaway. 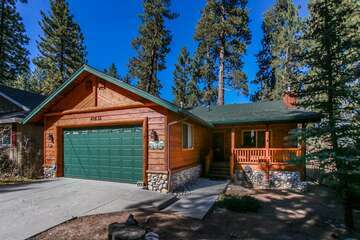 We will help you find the perfect vacation cabin that is just a short drive away from Big Bear’s exciting events, including the Big Bear Christmas Tree Lighting. Start planning for your trip today!